Where can you send a fax? If you are using efax services for sending faxes, then you may be asking yourself where can you send a fax. Many efax services don’t offer sending faxes to all countries in the world. If you find yourself in a position where you have to send a fax to any country in the world, WiseFax can help you do this job in a few simple steps. Why should you use WiseFax service to send fax internationally? If you live in a different country than the fax recipient, then sending a fax can be expensive due to the high price rate of international calls. Since fax machines are not very common nowadays, it is very likely that you don’t have an access to one to send a fax. The best and many times also the easiest and cheapest solution is to use an online fax service that helps you send fax. WiseFax supports sending faxes to a wide list of countries easily and securely. Just follow the steps above. WiseFax offers various possibilities of sending faxes abroad. 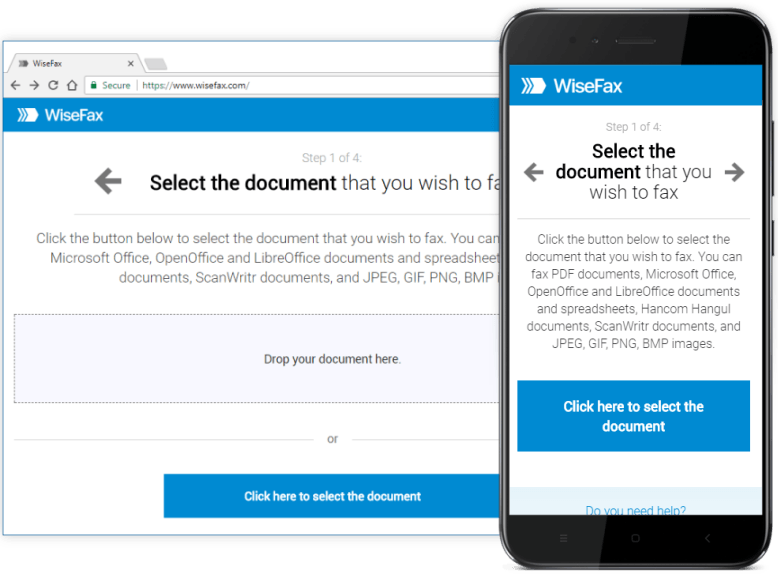 You can send fax internationally with WiseFax using an app, browser extension or add-ins. You can send fax from Android, macOS, iOS, Windows 10, Google Chrome, Firefox, Microsoft Word, Microsoft Office 365, Google Docs, Google Drive and Box cloud storage.